Lahore: On Friday, Albayrak Waste Management conducted an awareness drive in Jamia Mosque Miraj-un-Nabi in Harbanspura. One day awareness drive aimed to sensitize the worshippers and general public about proper waste management. Albayrak team requested Imam Jamia mosque to underline the significance of cleanliness in Friday sermons. 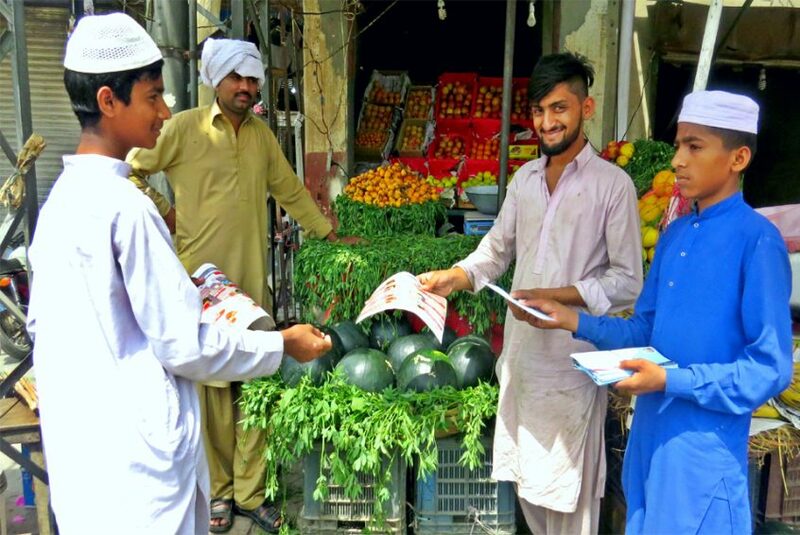 Students of Jamia Sardaria Rizvia took part in the drive and distributed awareness brochures among the local residents and shopkeepers of the area. The natives were requested to play their individual role in keeping the environment clean and waste free.